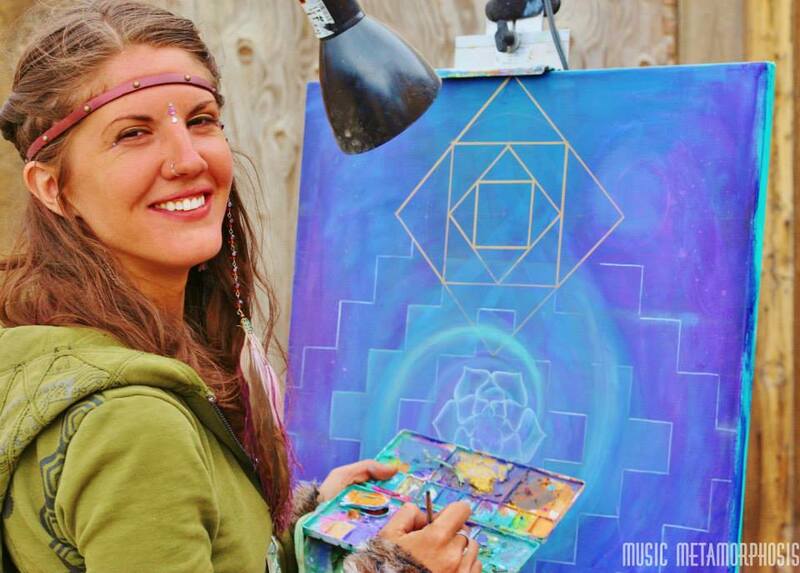 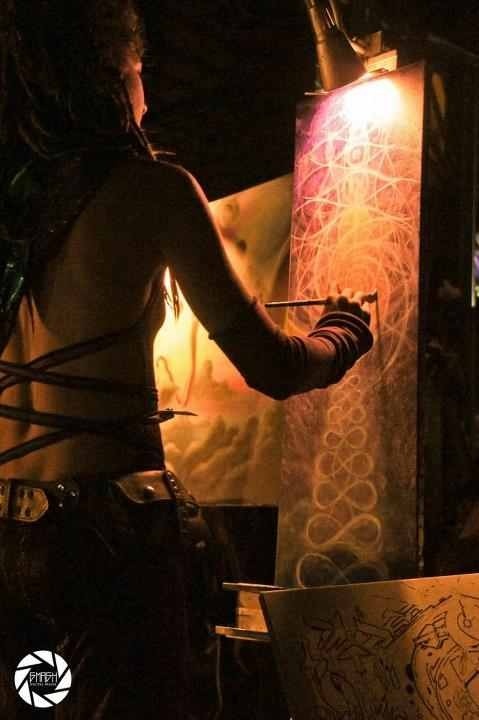 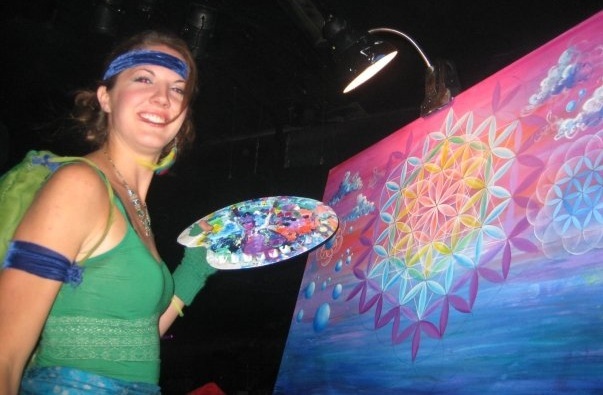 For over a decade, Krystleyez has passionately shared windows into her creative process, working as a live painter at festivals and concerts across the globe. 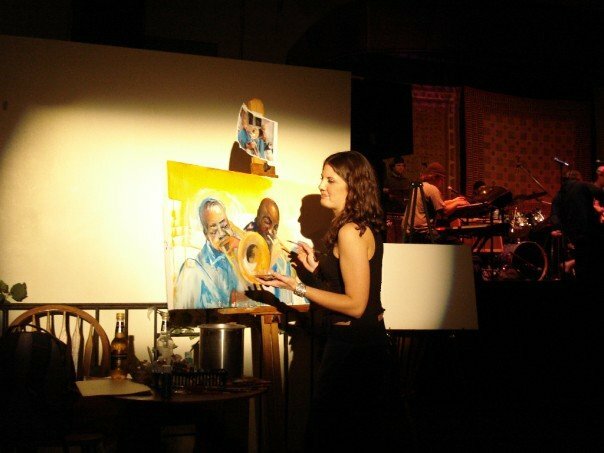 Saturated with light, sound and the essence of the moment, her performances transport the viewer on a journey into the heart of creation. 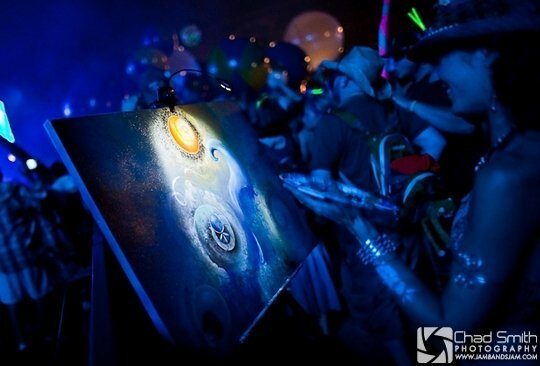 Scroll down to view a gallery of Krystle's live art performances. 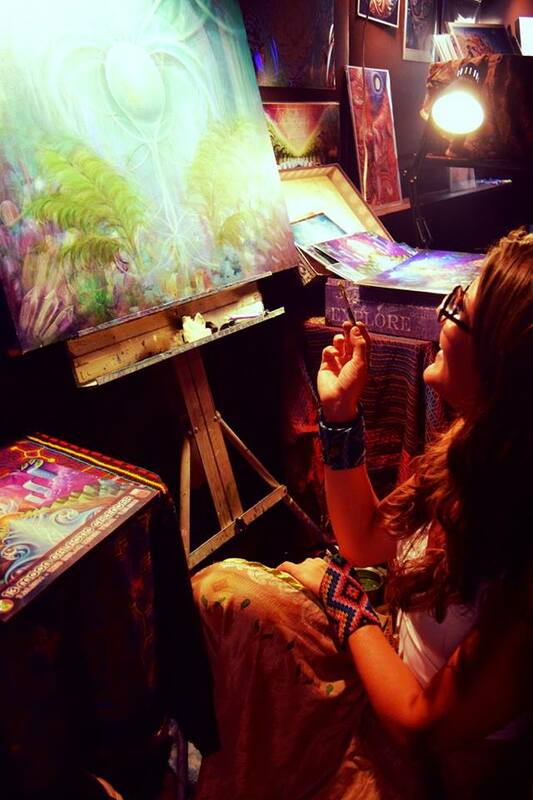 “Vessels of the Divine :: Spotlight on Visionary Art” featuring interviews with Krystleyez, Autumn Skye Morrison, Alex and Allyson Grey, Andrew Jones and more….! 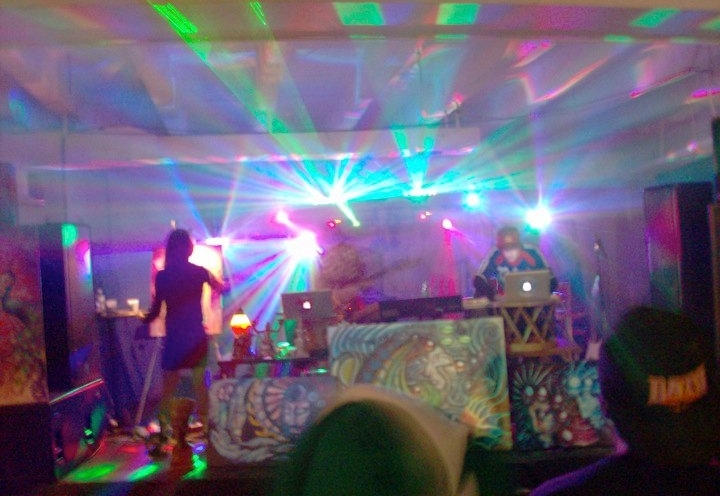 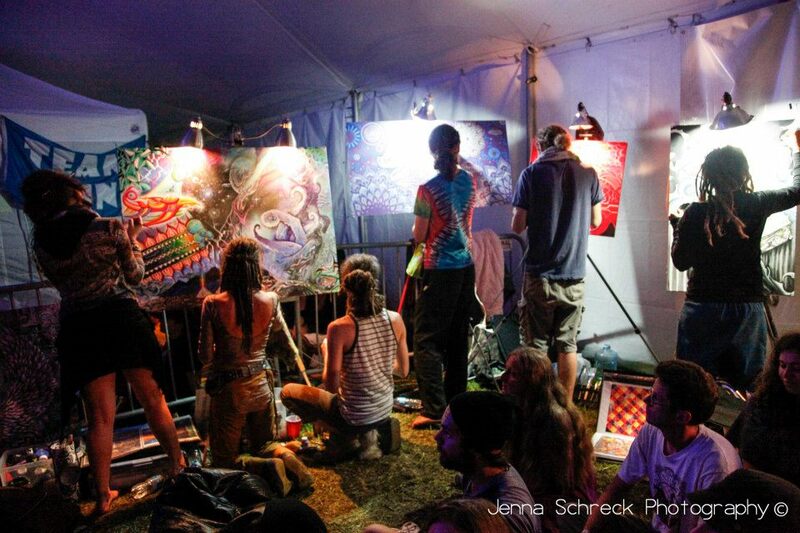 Live Painting by Krystleyez, Justin Totemical and Micael Garfield at Rootwire, Ohio, 2012.